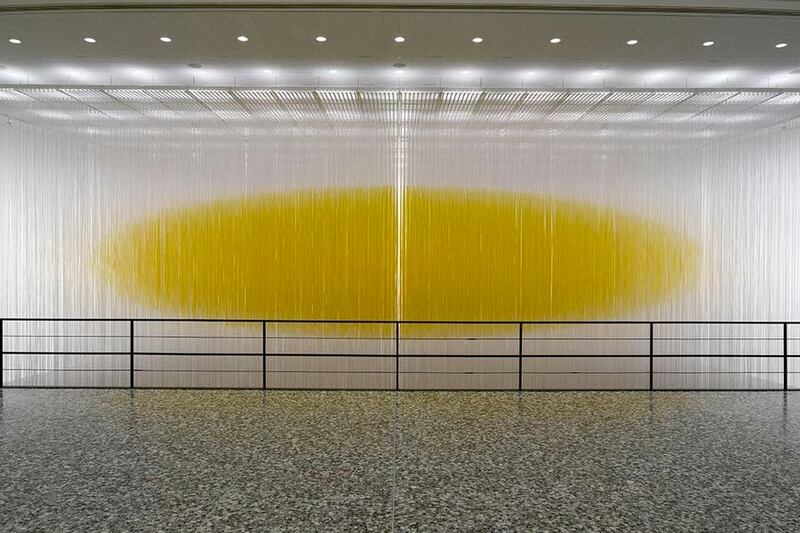 The final installation in Jesús Rafael Soto’s Penetrables series—Houston Penetrable—will be on view at The Museum of Fine Arts, Houston, as of May 8. An interactive display of 24,000 PVC tubes, each hand painted and tied, will hang from the second story of the museum’s Cullinan Hall. 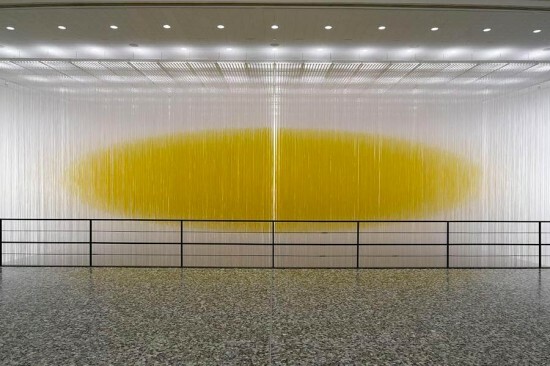 The strands’ collective visual expression is of a floating yellow orb visible upon a transparent background. 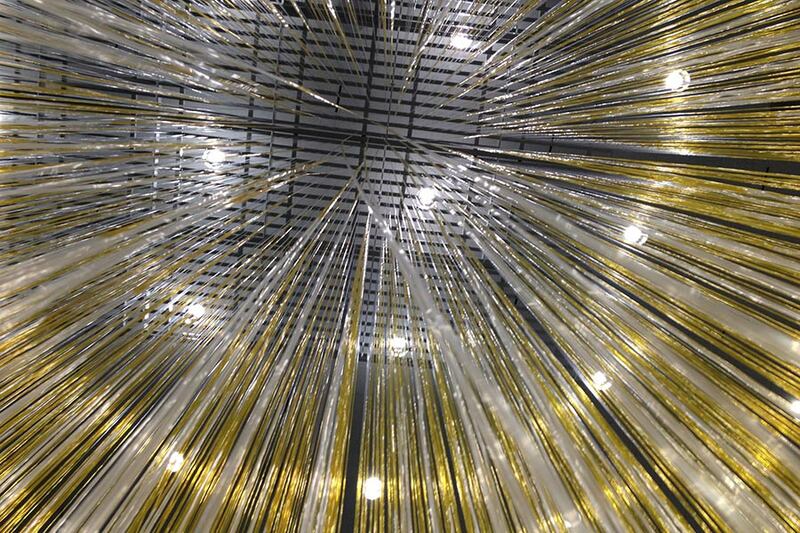 The installation’s kinetic quality defies the idea that viewers look only with their eyes. 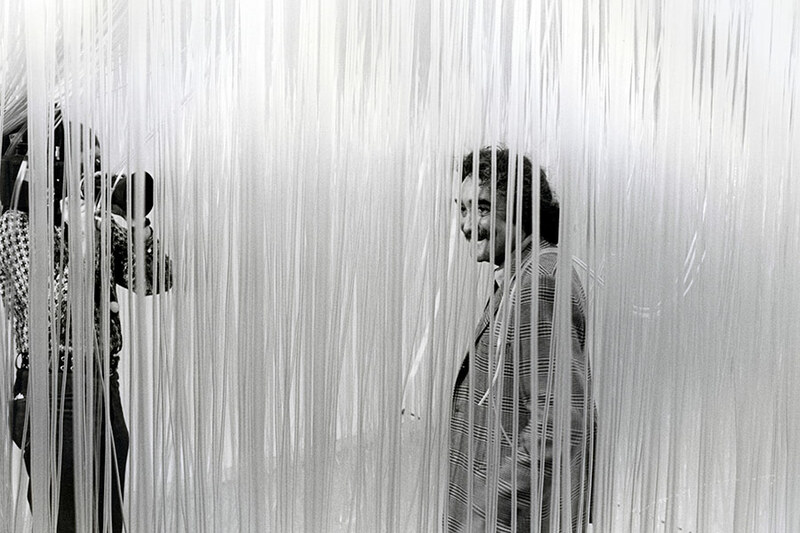 The interaction of museum visitors playing with and among the strands is, in fact, the final element that completes Soto’s work. 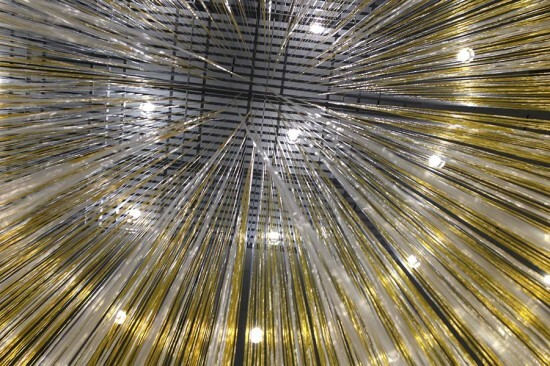 The installation, which took almost a decade to finish, is one of the few that Soto created for the indoors. The piece will be accompanied by a neighboring exhibition of eight other pieces that exemplify the artist’s career, including Plexiglas boxes, and selections from his Agujas (Needles), Vibraciones (Vibrations), and Ambivalencias (Ambivalences) series.